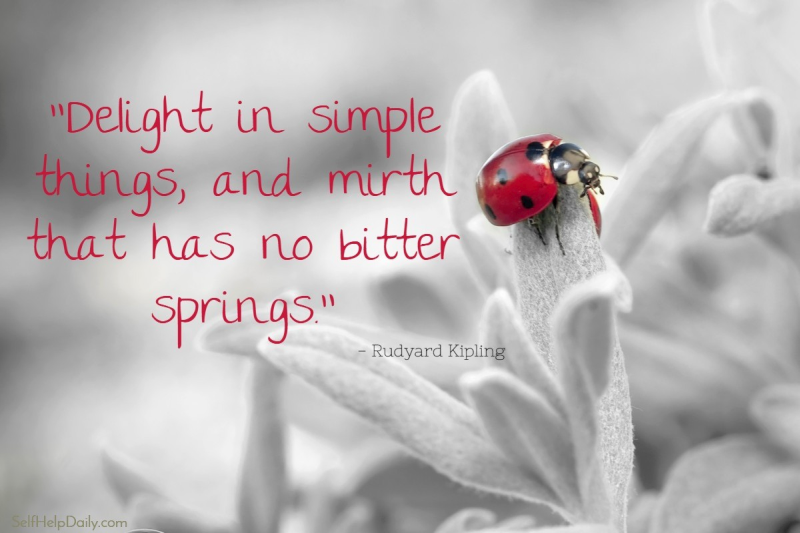 This great Rudyard Kipling quote is actually from his beautiful poem, The Children’s Song (below). It serves as a reminder to not just notice and appreciate simple things, but to delight in them! The whole concept reminds me of kittens, oddly enough. One of our outside cats (Barb!) recently had kittens and we’re absolutely loving watching every single thing they do. A kitten delights in everything around them. Rain? Never seen anything quite like it! A moth? Coolest friend ever! If we stop long enough to allow ourselves to delight in even the smallest things in life, our worries and cares will shrink as our joy and happiness grow. I hope you’ll allow Rudyard Kipling’s words to sink in deep. So beautiful! As men and women with our race. The Truth whereby the Nations live. No maimed or worthless sacrifice. By fear or favour of the crowd. Man’s strength to comfort man’s distress. And Love to all men ‘neath the sun! Head, heart and hand through the years to be!